Fourth Thursday of the month for seven (7) months. Class meets for the full day. 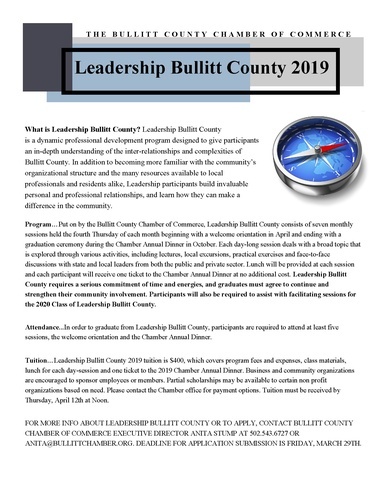 Leadership Bullitt County meets at various locations in Bullitt County. 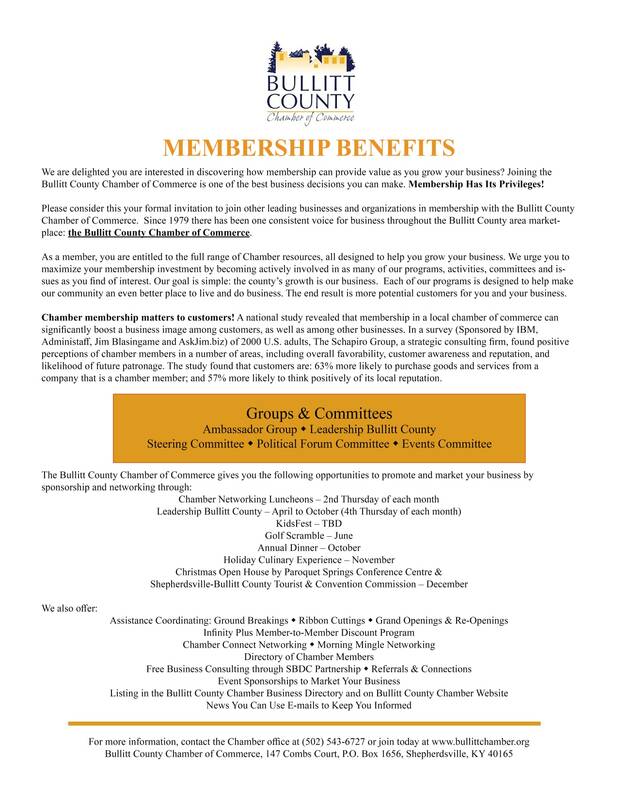 The Chamber recommends that businesses send and sponsor a participant. Members only, please. 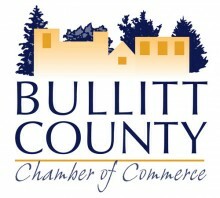 Leadership Bullitt County is an excellent avenue to form genuine relationships and build networking opportunities. Join local professionals to learn about Bullitt County history, government and business. Classes held at various locations around Bullitt County and meet for a full day each month for seven (7) months. Strict one-absence policy. No refunds.